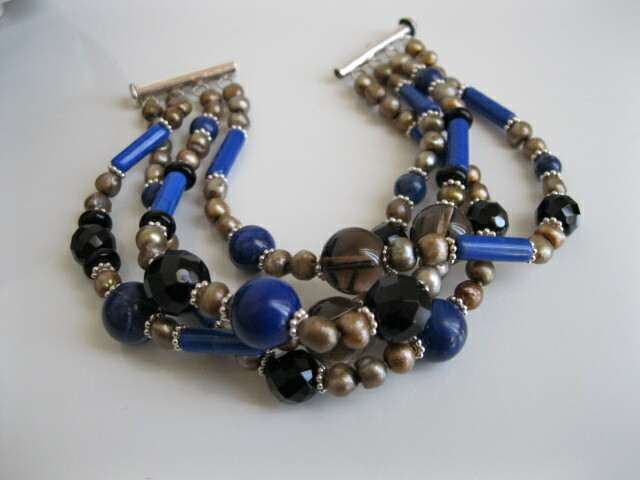 Luxurious Lapis Lazuli Bracelet with Round Lapis Beads (10 & 6mm), LapisTubes 15mm, Smokey Quartz 11mm, Black Facetted Jet 8mm. With Generous Amounts of Bronze Pearls. All sterling Clasp and Spacers. a gemstone necklace. Added here just cos we love Kate.